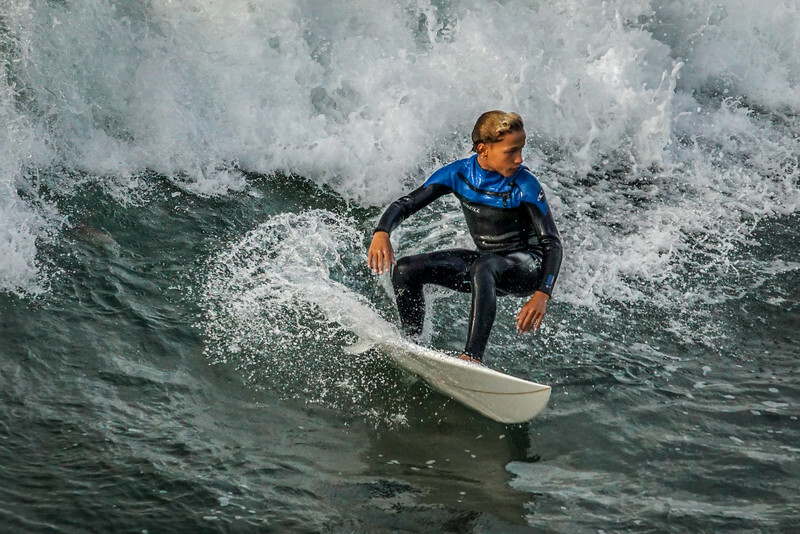 It was very impressive watching this young man's elegance, aggressiveness & balance as he surfed as if he was born with a surfboard. He attacked each wave as if he desired to dominate it. Shot the last day when Sony loaned me a Alpha a6000. Used my 55-210mm zoom lens.